Good morning! It’s another Beautiful Sunday! Sing along if you like. That’s a bird I had never heard of until this week. 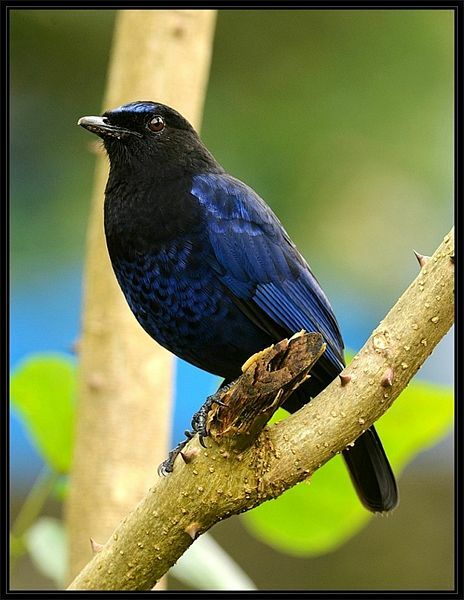 The Malabar Whistling-Thrush (Myophonus horsfieldii) is also known as Whistling Schoolboy or sometimes Idle Schoolboy because its song resembles a person whistling a tune. These birds are found in the Western Ghats and hills of peninsular India including central India and parts of the Eastern Ghats.